What is Sinumerik MSG Command? How to Show Blinking Message with Sinumerik MSG Command? 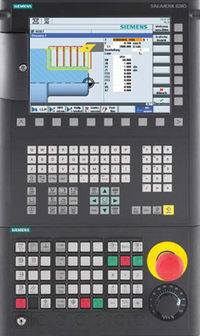 Using Siemens Sinumerik MSG statement MSG(), any character string from the part program can be output as message to the operator. These messages can be of any kind from informational to real-time critical data display messages. 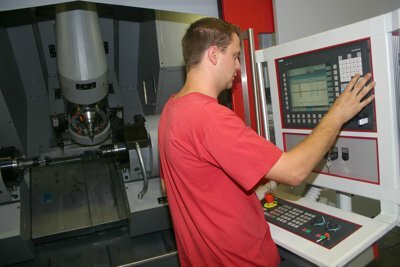 In some critical situation we (cnc programmer) want immediate attention of cnc operator (by showing him a blinking message) and want him to abort the program as well. The above code will fail because when the message will be displayed, immediately it will be removed by the M30 code which resets it. but in this situation if he presses Cycle-Start instead of Reset Button the program will continue to run. This whole process will display a blinking message to the cnc operator, and the program can’t be run until the operator presses the RESET button which will reset the program and stops the cnc machine.